Flirty floral accents update the classic cut of this chic night-out dress! 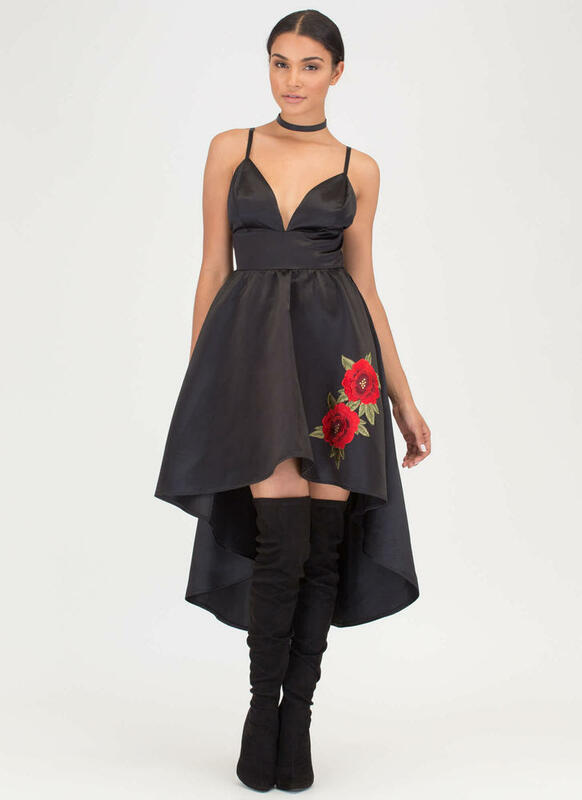 Lightweight dress is formed from smooth, non-stretchy satin into a fit-and-flare silhouette with a plunging V-neck, a wide waistband, and a voluminous high-low skirt. Two large embroidered flowers with foliage backing decorate the skirt. Finished with adjustable spaghetti straps and a rear zip closure. Length (longest adjustment): High: 34", Low: 49"